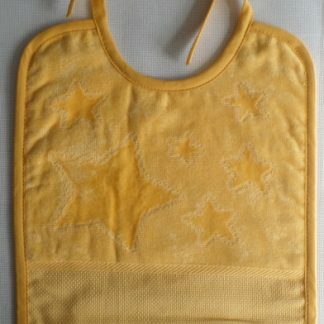 This is a yellow baby’s Bib suitable for a 6 month to year old baby made by DMC. 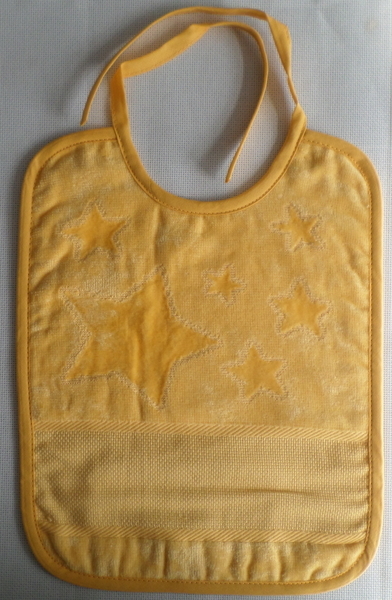 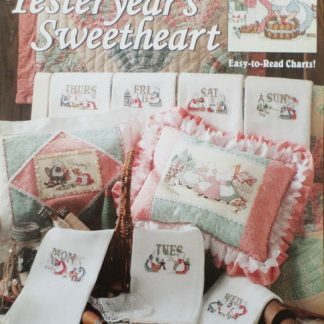 The bib measures 24 cm wide x 31 cm high and has a design of 1 large star & 4 small stars. 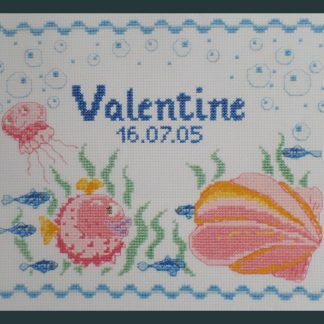 The stitchable area is 6 x 22 cm. 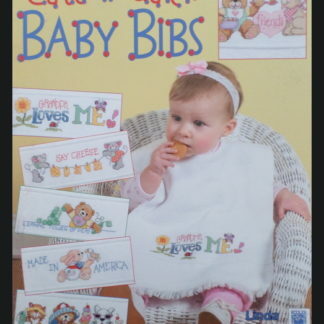 100% cotton with ties for around neck. 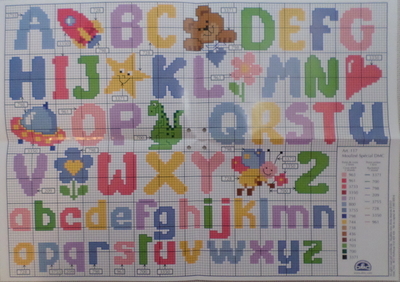 Comes with a cute free ABC chart.